A warm living room with cozy sofa set and freeview TV. Full function kitchen with Refrigerator, 4 points gas stove, microwave, toaster, etc. 2 lovely and stylish bedrooms with unique decorations. 1 bathrooms with shower, toilet, and washing machine. A special alarm system runs 24 hours to keep you safe. 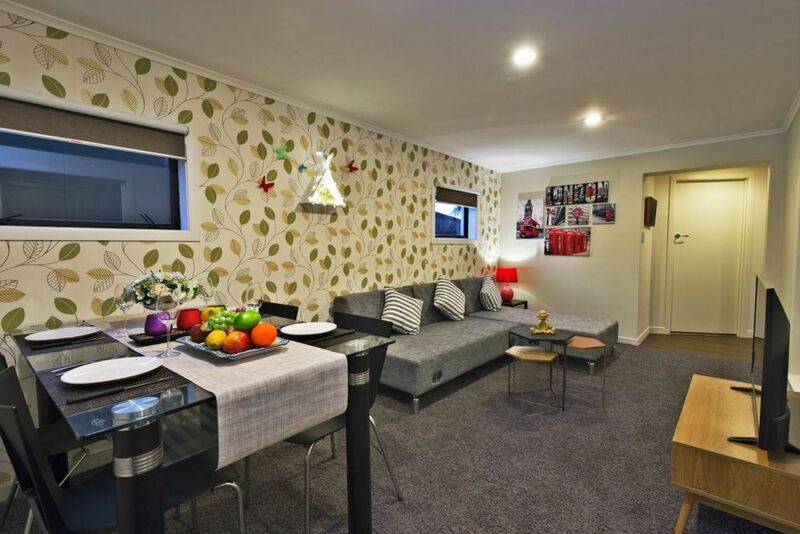 This house locates at Forrest Hill Suburb, Central Northshore. Pupuke golf club and a bike park overlooking Auckland city is just across the street. 2 km to Castor Bay beach and 1.5 km to shops and supermarkets(countdown). 15 mins drive to Auckland CBD. Cot and high chair is available per request. It's a 2 bedroom home recommended for 4 guests. Great property and great location. Property was nice. Great location, out of the city yet close enough to get in and out reasonably quickly and easily. Could have done with a shower mat and some flannels.